Well it’s very important because more and more people are using devices other than their PCs to access websites. According to CNN, 55% of the internet usage in the United States in January of this year came from mobile devices. This trend is moving in a similar direction across the globe. Something we want all of our expert authors to consider, if you haven’t already, is how you plan on making your own websites responsive. It’s a great benefit to your readers to be able to provide them an easy-to-read article on a responsive site like EzineArticles, but if you link them to a non-responsive site afterwards, it will only do your brand a disservice. We don’t know when, there will come a time when there will be a disincentive to us to display your links if they’re not responsive. We’ll let you know if and when this happens, but we wanted to get you thinking about a plan of action before then. When planning out your website’s redesign, be careful who you turn to for help. Invest in a good multi-screen design by a company you trust (that is, if you are unable to do the web design yourself). There are some companies out there who will stick your content in a pre-formulated template, and riddle your site with annoying, ill-placed, and completely unrelated ads that only benefit their company. Be wary of this. Another change that we’ve made recently is we no longer allow duplicate article titles. 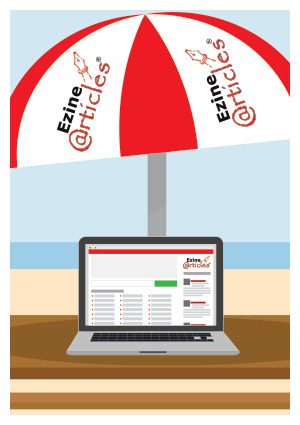 In the past, we allowed you to create and use titles that already existed on EzineArticles. We felt it was best to make this change because search engines don’t like duplicate titles, and we want to make sure we build trust with all major search engines. The added benefit for you is now, when someone searches for your article by title, they will only get one result (yours!). This makes it a lot easier for people to find your content. Aside from these major changes, we have a lot of projects we’re really excited about that you can look forward to in the coming weeks and months. Article reviews will be steadily increasing in speed. We have even more easy-to-use article templates on deck to help you craft great content for your readers. We’re writing lots of exciting new blog posts and creating dynamic infographics that will help you be the best expert author you can be. And we’re even working on some top of the line new services for our Premium members. Be sure to stay tuned! To close this post, I wanted to mention that this year we will celebrate the 15 year anniversary of EzineArticles.com. We’re so humbled and honored to say that there are many talented expert authors that have been with us since way back then. We’re excited about the future, and building even stronger relationships with all of our expert authors. We do what we do because we love giving you a platform to share your unique perspectives on the things you are passionate about. Do you have a question or comment for us? We’d love to hear it! Congratulations, Kari, for 15 years for Chris Knight and your team and all these new things that are coming about for EzineArticles. I’m happy for you. This summer I’ve been busy helping several friends through major losses in their lives upping my yoga practice and writing when I can. I’m also counting my blessings. Everyone feels better when that is practiced for sure. Congratulation for your great changes and really glad to know this great information. I’m a regular reader of EzineArticles.com and this time you have done done worthy project for all readers. In this dynamic world, Responsive websites are attracting the visitors and easy to reach many readers. I have also a Website sastonepal.com and using responsive theme. It’s a good ideas to go right direction. Congrats on the 15 years! I’ve always wondered about the duplicate title and am glad you are removing this. Looking forward to seeing what other changes you have in store as time goes by! I hope you do, too, Gloria, even a page a day! Congratulations on making the site more responsive – so important in this rapidly changing online world. One concern, however, is that without images the articles cannot be automatically posted to Pinterest. On the other hand, not having to deal with images makes it easier to write, post and publish an article. Thanks for keeping up with the times! Congratulations on your :birthday,” too. I can feel the excitement from your post. Looking forward to your future major changes. Thanks for getting me in the mood to write more articles. Just got back from vacation myself today, I see you’ve made some great changes for the future of mobile users – excellent work. Wow.Egreetings to EzineArticles on its 15th Birthday. I am happy to be assocaited with a great literary site for the last two years. Indeed,I learn everytime when I submit an article. Congrates. coming back on stream and thank you for the many changes taking place right now. What of 100 characters as heading or tittle? When will change affects it too? We are happily waiting to welcome the new projects, I believe will all us so many good. The new projects, you are welcome, please. Happy and congratulations for clocking 15 years of active and useful service to humanity. Congratulations, more grease to your elbows. As usual, we are always on tuned with you. We have no intentions of changing the 100 character limit for titles as we found this length to be ideal for SEO and readability. Congrats !! Hoping for more exciting days ahead. I’ve not submitted to EzineArticles for quite some time. With the move to a responsive site, perhaps it’s time to re-evaluate! It is pretty cool that no two articles can have the same title anymore, but how will you solve this issue with articles that have already been published with duplicate titles? We are not going to be taking any action on titles that are already published. New articles being submitted that have a title that matches a title in our system will be shown a message asking them to change the content to make it unique. Thanks for the question! Good to see an article after all this time. I had been wondering what had happened. Improvements to the site are always welcome. Hoping for more exciting days in future. Thanks for sharing your feeling.